The existing skatepark Westblaak is at the end of its lifecycle. Its skate objects are outdated and do not meet the requirements of many skaters any more. 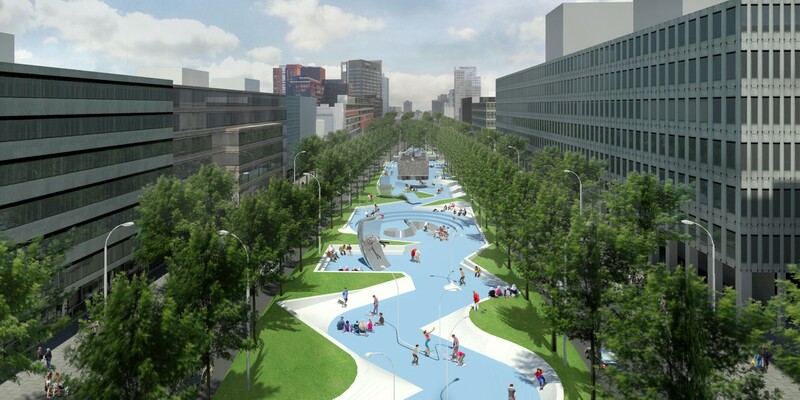 They dislike the prescribed movement that the objects imply and prefer a park in which skating merges with public space and street furniture. Also the mono functional character of the place is considered as problematic by the municipality. 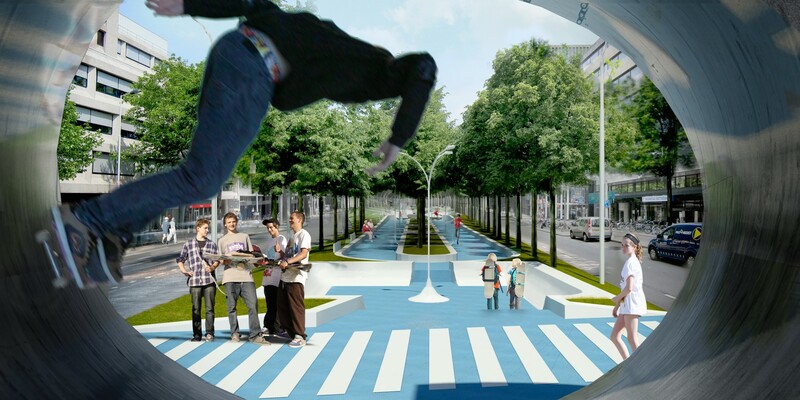 The project proposes a hybrid concept of a skatepark and a sculpture garden. It forms a new art route that anchors the project into the area’s cultural profile and attracts a larger public than skaters only. 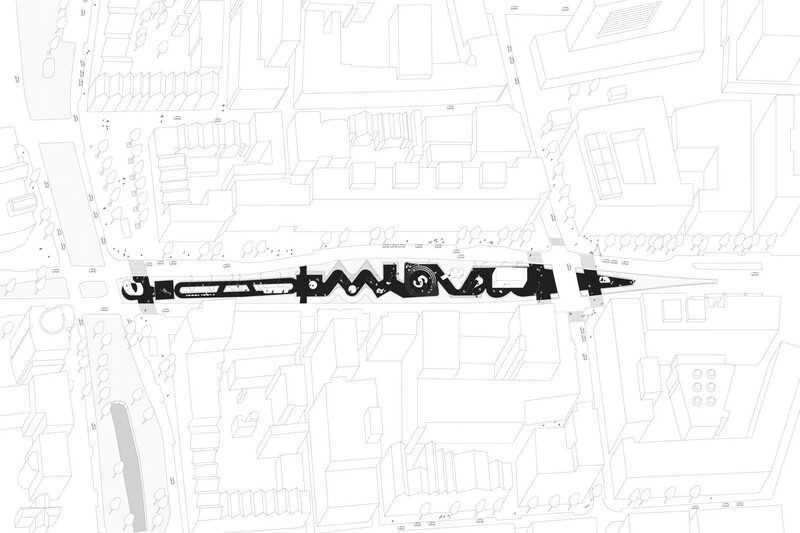 The design consists of a three dimensional edge that defines a series of chambers that fluidly morph into each other. 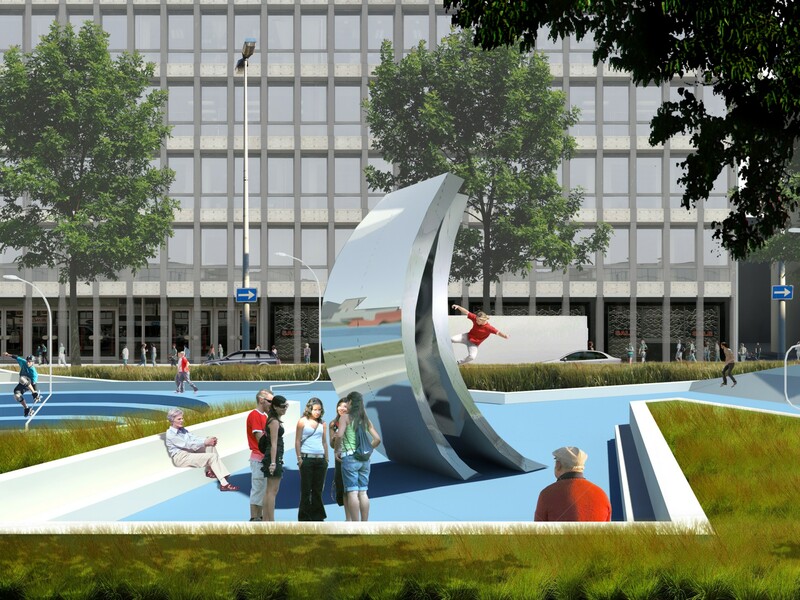 This spatial armature serves as a skateable edge, a green buffer that separates the park from the road and a sitting area for the spectators of the art and the skaters. In the chambers, a variable collection of ‘skate-off-the-art’ objects is placed. They are designed by the skaters in collaboration with artists and local manufacturers. Their specific design triggers different forms of skating, without imposing a specific skate moves. The skate sculptures introduce a collection of ‘use art’ that, like in the neighbouring galleries and museums, changes regularly. The park’s continuous renewal enables it to remain attractive and exciting for skaters and the public over time.